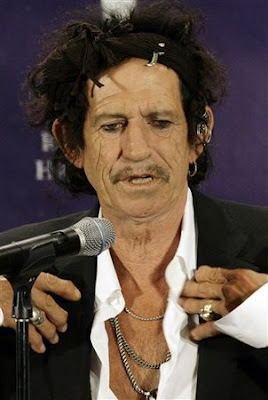 LONDON (AP) - Keith Richards has acknowledged consuming a raft of illegal substances in his time, but this may top them all. "I was No. 1 on the 'who's likely to die' list for 10 years. I mean, I was really disappointed when I fell off the list," Richards said.